For other features, see the top menu bar! I am an assistant professor at Eotvos University in Budapest, Hungary. Before coming to ELTE, I was a member of the IAS and an Einstein Fellow at Harvard University. I am now leading the GALNUC project funded by an ERC Starting Grant (see below), studying gravitational wave astrophysics, astrophysical dynamics, dense star clusters, astrophysical general relativity, black holes, accretion disks, disk-satellite interactions, and statistical mechanics. 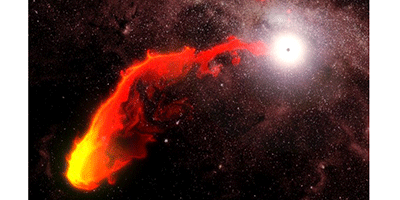 Black-Hole Hunting with a Gas Cloud The center of our Galaxy is teeming with black holes. Detecting these highly compact objects is challenging, but an opportunity may arrive at the end of the summer in the form of a large gas cloud passing through the galactic center. If this cloud encounters a black hole in its path, the hole will devour some of the material, releasing x rays in the process. 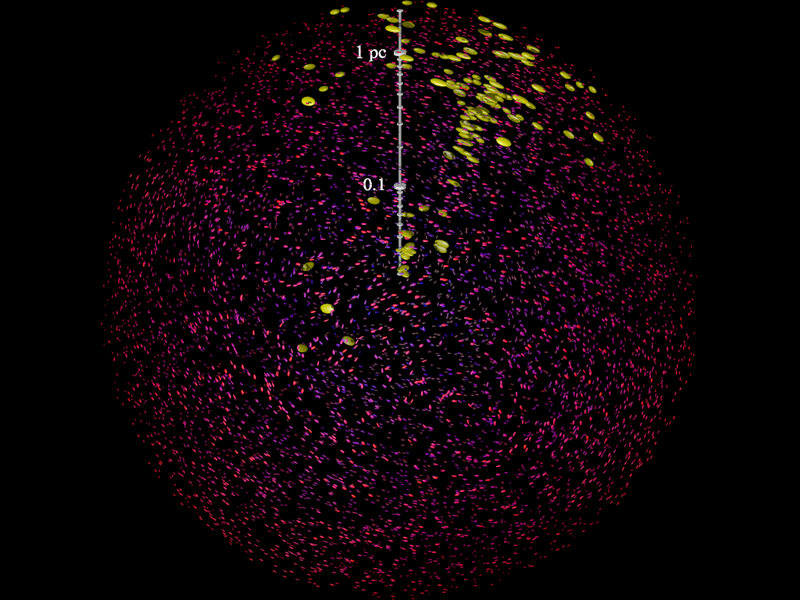 Our paper in Physical Review Letters calculates the odds of us seeing such an event. PRL editor's suggestion! 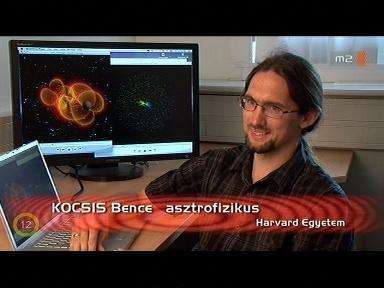 Media coverage: Physics Synopsis, BBC news, Universe Today, Ind-Science, Nature World News, National Post, Cosmic Frontiers Workshop, ABC Sydney, Phys.Org, Physics World, index.hu. Resolving Gaseous Disks around Cosmological Supermassive Black Holes with Transiting StarsSupermassive black holes are typically surrounded by a dense stellar population in the nuclei of galaxies. Stars crossing the line of site in active galactic nuclei (AGN) produce a characteristic transit light curve, just like extrasolar planets do when they transit their host star. In our paper with Harvard graduate student Bence Béky, we examined the possibility of finding such AGN transits in deep optical, ultraviolet, and X-ray surveys. Such observations could be used to constrain black hole mass, spin, inclination, and accretion rate. Transit light curves could be used to image accretion disks with unprecedented resolution, allowing us to resolve the supermassive black hole silhouette in distant AGNs. A new class of migration: Type-1.5 One of the most interesting unsolved problems in astrophysics is the formation of planetary systems such as our Solar System. A fundamental question is to understand the evolution of gaseous disks from which planets form. The planets interact with the disk, generate spiral waves, and in response, the disk drives the migration of planets. Interestingly this is the same process that operates in galactic nuclei where supermassive black holes reside, which drives them to merge. Our paper provides an important new piece to this long-standing puzzle. We have derived the structure of the turbulent disk+binary system and its long term evolution accounting for tidal effects, viscosity, and radiation pressure self-consistently. The disk banks up outside the secondary and creates an enormous dam. The immense turbulent pressure makes the disk up to 100 times brighter, and causes the gas to overflow into the central regions and accrete onto the binary. The migration in this state is much slower than in previous estimates. See mathematical derivation and observational implications. Repeated Burst Events for Earth-based Gravitational Wave Detectors In our paper with Janna Levin, we provide theoretical predictions for a new type of gravitational wave event for terrestrial detectors, more luminous and possibly more frequent than other types of sources. These are eccentric gravitational wave capture events between stellar mass compact objects in galactic nuclei. Waveforms consist of a series of short "bursts" which repeat over minutes to hours followed by a loud "chirp". The video below shows a neutron star orbiting around, and gradually inspiraling into a spinning black hole. Listen to the sound of gravitational waves! You can find more details here or look at our paper. Measuring Accretion Disks with Gravitational Waves Gas flowing into supermassive black holes can shine spectacularly, brighter than the hundreds of billions of stars in the surrounding galaxy. These objects are called active galactic nuclei (AGNs). Understanding the physics of such accretion disks is one of the most interesting open problems of our time. In our papers with Nico Yunes and Avi Loeb we examine the observability of AGNs and the relevant physical processes, if a stellar object is embedded in the accretion disk. We show that the tidal field of the compact object clears a gap, but the disk refills due to the radiation pressure in the disk before the object merges into the black hole, producing an electromagnetic transient. We also study whether the accretion disk can be studied through gravitational wave measurements using eLISA. Indeed, the gravitational wave signal is affected by the modulated inspiral rate of the object. The underlying physical process is analogous to planetary migration in protoplanetary disks, responsible for delivering Jupiter-sized exoplanets to very short-period orbits around stars. See brief letter and detailed paper . Detecting Supermassive Black Hole Mergers with X-ray Spectroscopy Supermassive black holes of millions to billions of solar masses, are observed to reside at the centers of most, if not all, galaxies. During galaxy mergers, they are expected to sink to the center of the merging system forming supermassive black hole binaries. Once their separation is less than a light year, Einstein's general relativity predicts that these binaries lose energy by emitting gravitational waves and merge within billions of years. Although galaxy mergers are quite common in the Universe, the observation of supermassive black hole binaries remains elusive. In our paper with Barry McKernan et al., we pointed out a unique observable, a particular time-variable feature of X-ray iron lines for the detection of supermassive black hole binaries with future surveys. 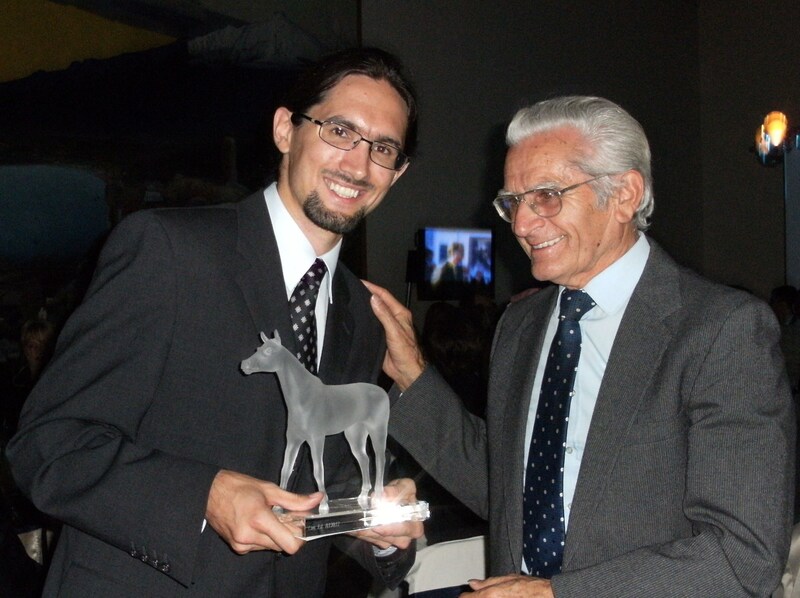 Recent Prize I have been awarded the Prima Primissima Junior Prize. 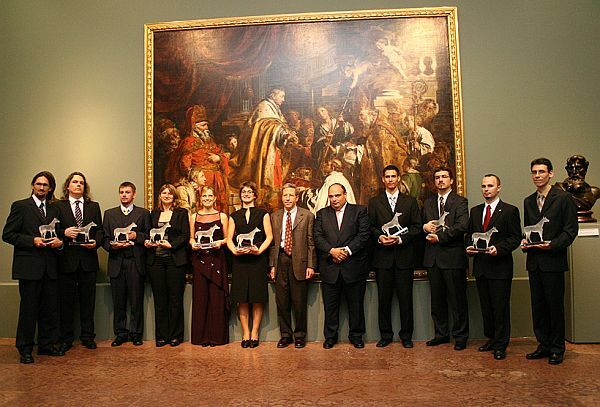 This prize is awarded in 3 categories: Hungarian research, education, and sport to 10 individuals per category under the age 30. The related media coverage can be found here. Public Outreach Read the recent interview which appeared in the Eotvos University News in January, 2015 (in Hungarian) or a past interview in Eduline in 2009. In the past, I have been featured in the Hungarian documentary Hullámvadászok (Wave Hunters), first broadcasted August 27, 2010 on the Hungarian television channel M2. You can download the full (3Gb) movie here. 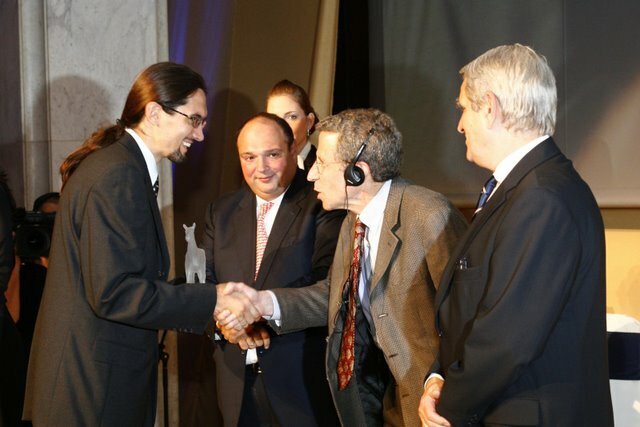 I have also appeared in Tudástár (Knowledge Base) on September 28, 2010, and in Delta science and technology news on January 15, 2011, on the Hungarian M1 TV.